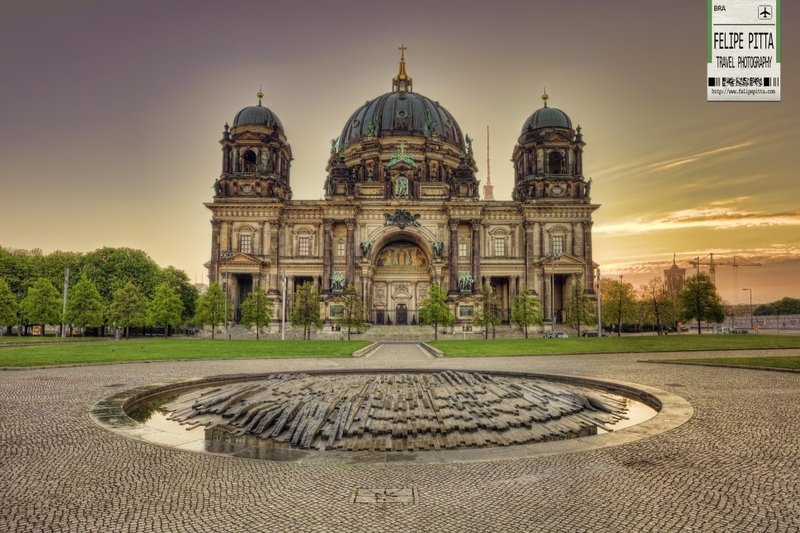 The Cathedral of Berlin (German: Berliner Dom) is the largest church in the city. With an imposing and ornate facade, it serves as a vital center for the Protestant church of Germany, attracting thousands of visitors, year after year, from Germany and abroad. Indeed it was one of my favourite places to visit in Berlin. 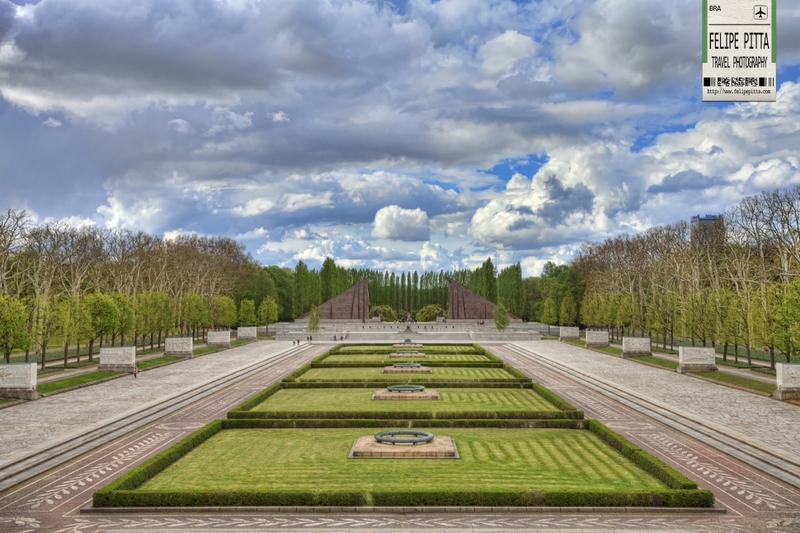 The Soviet War Memorial is a vast war memorial and military cemetery in Berlin’s Treptower Park. It was built to the design of the Soviet architect Yakov Belopolsky to commemorate 5,000 of the 80,000 Soviet soldiers who fell in the Battle of Berlin in April–May 1945. 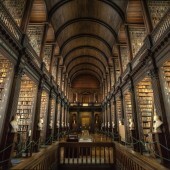 It opened four years after World War II on May 8, 1949. The Memorial served as the central war memorial of East Germany. 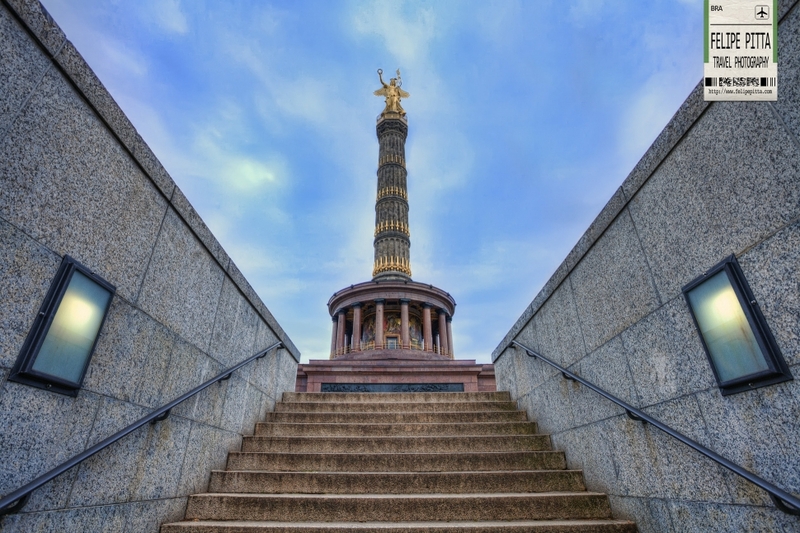 The Victory Column is a monument designed by Heinrich Strack after 1864 to commemorate the Prussian victory in the Danish-Prussian War. By the time it was inaugurated on 2 September 1873, Prussia had also defeated Austria in the Austro-Prussian War (1866) and France in the Franco-Prussian War (1870–71), giving the statue a new purpose. Different from the original plans, these later victories in the so-called unification wars inspired the addition of the bronze sculpture of Victoria, 8.3 metres high and weighing 35 tonnes, designed by Friedrich Drake. The Reichstag building (German: Reichstagsgebäude) is a historical edifice constructed to house the Imperial Diet (German: Reichstag), of the German Empire. It was opened in 1894 and housed the Diet until 1933, when it was severely damaged in a fire. After World War II, the building fell into disuse and partially refurbished only in the 1960s, but no attempt at full restoration was made until after German reunification on 3 October 1990, when it underwent a reconstruction led by architect Norman Foster. After its completion in 1999, it once again became the meeting place of the German parliament: the modern Bundestag. Potsdamer Platz is an important public square and traffic intersection in the centre of Berlin. It is named after the city of Potsdam, some 25 km to the south west, and marks the point where the old road from Potsdam passed through the city wall of Berlin at the Potsdam Gate. After developing within the space of little over a century from an intersection of rural thoroughfares into the most bustling traffic intersection in Europe, it was totally laid waste during World War II and then left desolate during the Cold War era when the Berlin Wall bisected its former location. Since German reunification, Potsdamer Platz has been the site of major redevelopment projects. The Bode Museum is one of the groups of museums on the Museum Island in Berlin and it is a historically preserved building. The museum was designed by architect Ernst von Ihne and completed in 1904. Originally called the Kaiser-Friedrich-Museum after Emperor Frederick III, the museum was renamed in honour of its first curator, Wilhelm von Bode, in 1956. The East Side Gallery is an international memorial for freedom. It is a 1.3 km long section of the Berlin Wall located near the centre of Berlin on Mühlenstraße in Friedrichshain-Kreuzberg. The actual border at this point was the river Spree. The gallery is located on the so-called “hinterland mauer”, which closed the border to East Berlin and it consists of 105 paintings by artists from all over the world, painted in 1990 on the east side of the Berlin Wall. The Brandenburg Gate is a former city gate, rebuilt in the late 18th century as a neoclassical triumphal arch, and now one of the most well-known landmarks of Germany. It was commissioned by King Frederick William II of Prussia as a sign of peace and built by Carl Gotthard Langhans from 1788 to 1791. Having suffered considerable damage in World War II, the Brandenburg Gate was fully restored from 2000 to 2002 by the Stiftung Denkmalschutz Berlin (Berlin Monument Conservation Foundation). Alexanderplatz is a large public square and transport hub in the central Mitte district of Berlin. Originally a cattle market outside the city fortifications, it was named in honor of a visit of the Russian Emperor Alexander I to Berlin on 25 October 1805 by order of King Frederick William III of Prussia. The Alexanderplatz also accommodates the World Time Clock, a continually rotating installation that shows the time throughout the globe. The Olympic Stadium was built for the 1936 Summer Olympic Games, after the International Olympic Committee (IOC) had chosen Berlin in 1931 to host the 1936 Games. Hitler took advantage of the opportunity provided by the Games to present a propagandistic image of National Socialist Germany to the world. At one side of the stadium, the main axis is expressed by two identical towers. 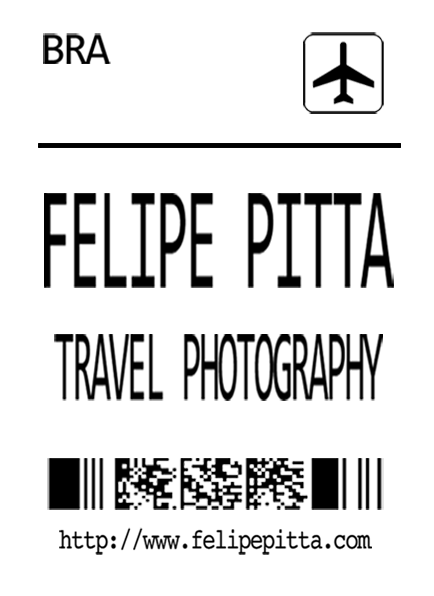 They indicate the main entrance. The Olympic rings are suspended between the towers to symbolically complete the design of the portal. 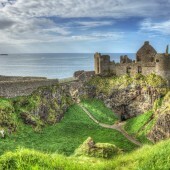 I was finally able to visit the Dunluce Castle in Northern Ireland with good weather conditions!